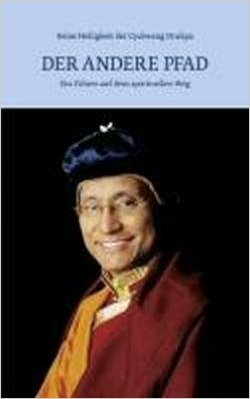 Der tibetisch-buddhistische Meditationsmeister Drubpon Ngawang Tenzin ist mit seiner Präsenz und seinen Belehrungen ein inspirierendes Vorbild, wie durch Meditation, philosophische Einsicht, Ausdauer und Hingabe hohe spirituelle Reife erlangt werden kann. Es ist immer wieder eine große Bereicherung, seine bescheidene, humorvolle und herzliche Art persönlich zu erleben. Mit eindrücklicher Bildsprache vermittelt er sein fundiertes Wissen auf einfache Weise und berührt gleichzeitig sehr direkt mit der Tiefe seiner Belehrungen. 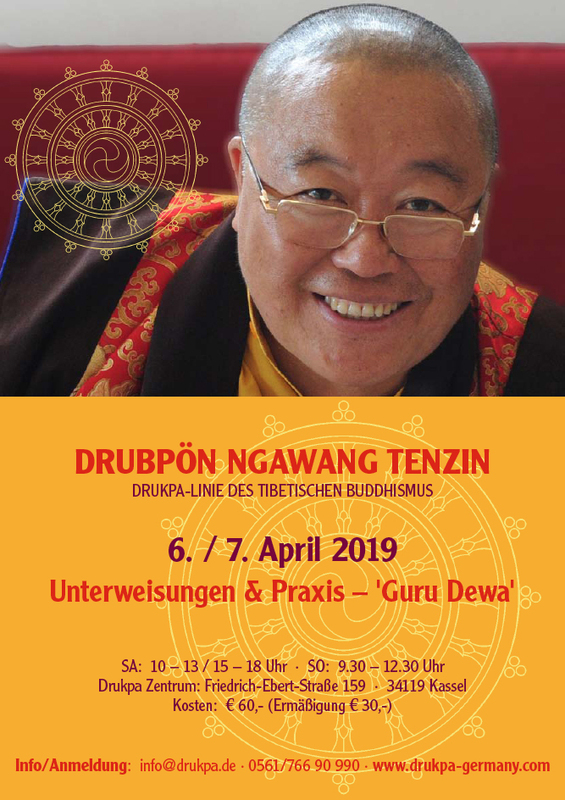 An diesem Wochenende werden wir von Drubpön Ngawang Tenzin Unterweisungen zur Guru Dewa Praxis erhalten. 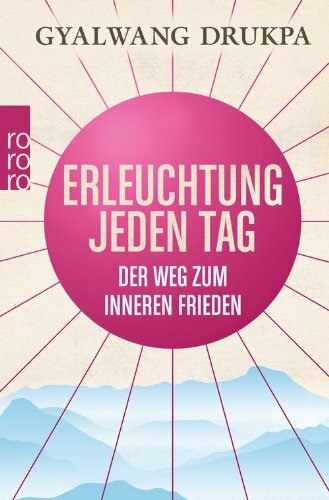 Bitte bringen Sie, wenn möglich, für die Veranstaltung ein Meditationskissen und die Texte Rosenkranz von Juwelen und Guru Yoga mit. Texte zur Guru Dewa Praxis sind vorhanden. Es finden regelmäßig Praxisabende mit gesungener und stiller Meditation in unserem Zentrum in der Friedrich-Ebert-Straße 159 in Kassel statt. Siehe unter Termine 2018. It has been quite a few years since I last celebrated the Lunar New Year with my students, friends, monks and lay people here in Dali Gonpa (officially known as Druk Sangling Choeling Monastery). 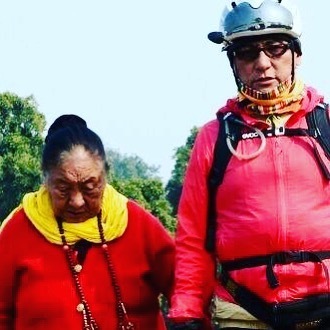 I feel very blessed to be able to conduct the seven-day MahakalaDrupchod together with the second Drukpa Thuksey Rinpoche for dispelling obstacles to benefit the world. It’s truly amazing to have all the yoginis (female practitioners) and yogis (male practitioners) from different retreat places of the Himalayan regions of Ladakh, Kinnaur, Lahaul Spiti, Sikkim, Nepal, Bhutan, and other parts of the world joining this Drupchod. 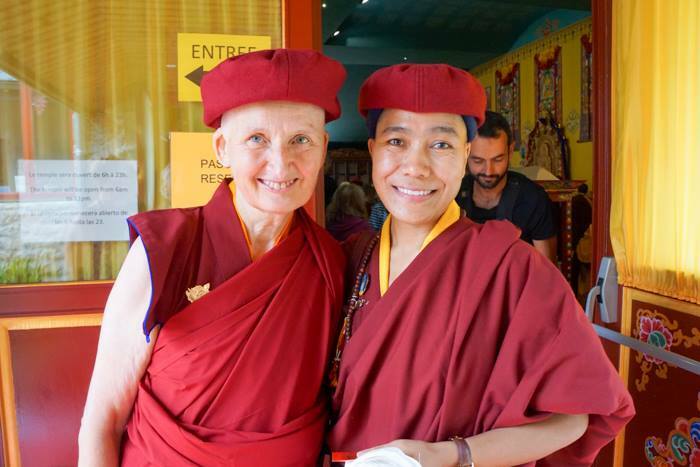 The rarity of this kind of gathering has to be appreciated from the depth of our heart, and the virtues accumulated are dedicated to the benefit of all sentient beings and the world at large. „Jewel of the Heart“ will be available by end of October 2017. Es dokumentiert einen Workshop der Nonnen für Frauen am Naropa Pothrang in Hemis. Zur Unterstützung der Nonnen auf Humanitäres – Sponsorenschaft für eine Nonne klicken. „My very old friend Barbara“, wie sich Seine Heiligkeit ausdrückte, wurde von S.H. im Laufe des Yangti-retreats in Plouray zur Nonne ordiniert. 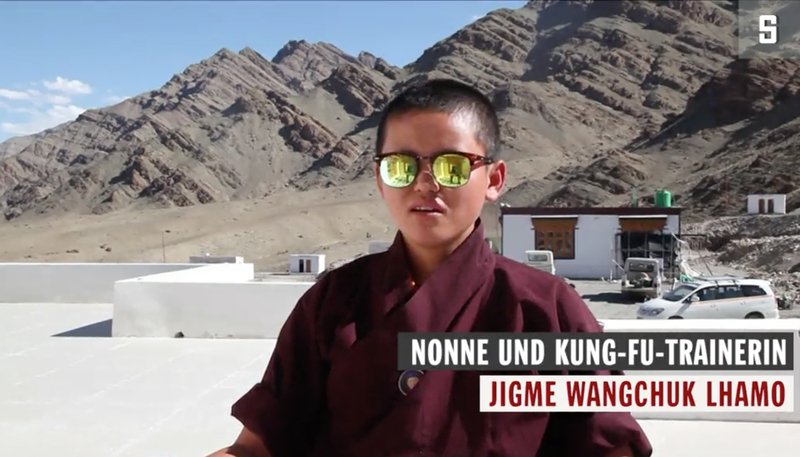 Er hat ihr den Namen Jigme Mönlam Zangmo verliehen. Diese freudige Überraschung hat uns alle sehr bewegt. Liebe Mönlam Zangmo wir wünschen dir von Herzen alles Gute auf diesem neuen Abschnitt deines Dharmaweges. Du siehst sehr glücklich und strahlend aus. 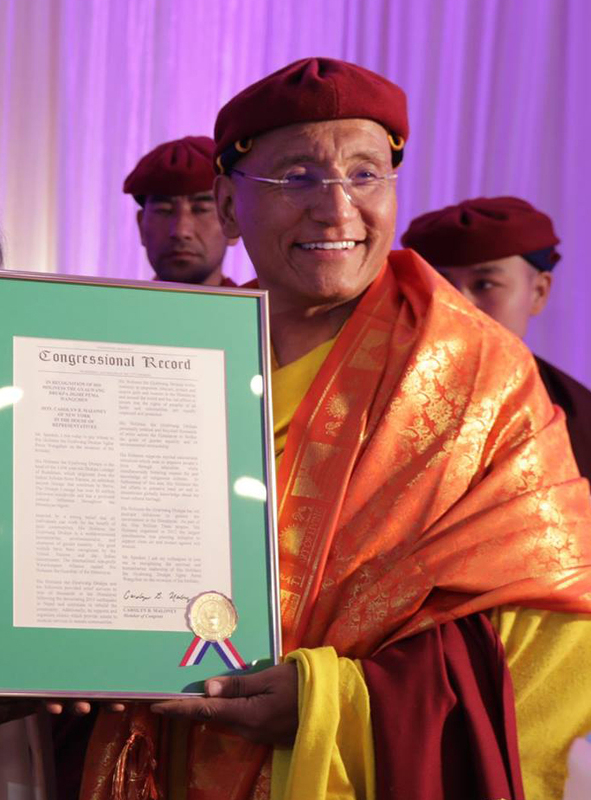 His Holiness the Gyalwang Drukpa was presented with a U.S. congressional resolution from Rep. Carolyn Maloney (D-NY), the U.S. Congresswoman for New York’s 12th Congressional District. 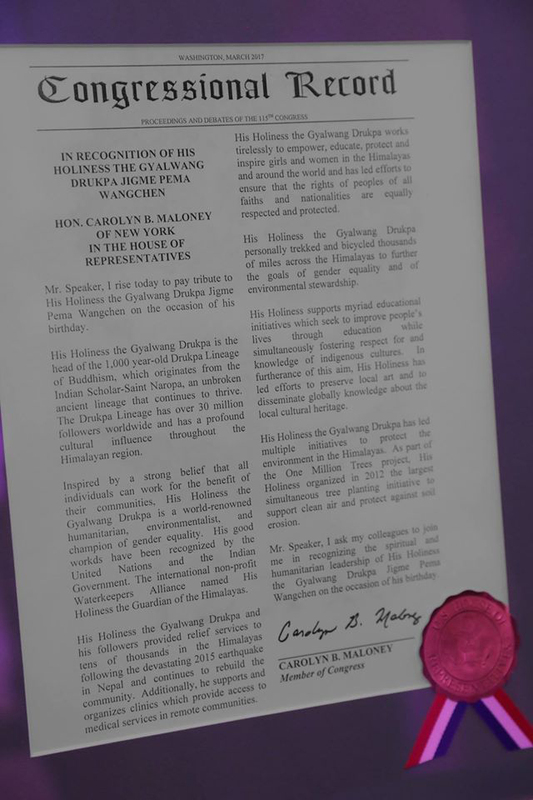 The resolution paid tribute to the Gyalwang Drukpa as a world-renowned humanitarian, environmentalist, and champion of gender equality, recognizing his efforts to provide relief services to tens of thousands in the Himalayas following the devastating 2015 earthquake in Nepal; to protect against soil erosion and support clean air through his One Million Trees project; and to empower, educate, protect, and inspire girls and women in the Himalayas and around the world. Other U.S. administration officials were also in attendance of the birthday celebration in Kathmandu, Nepal. „It is said that my mother did not experience any pain or difficulty at the time of my birth. My mother is kind-hearted, compassionate, very devout in her spiritual practice and has deep-seated devotion to Buddha Amitabha. 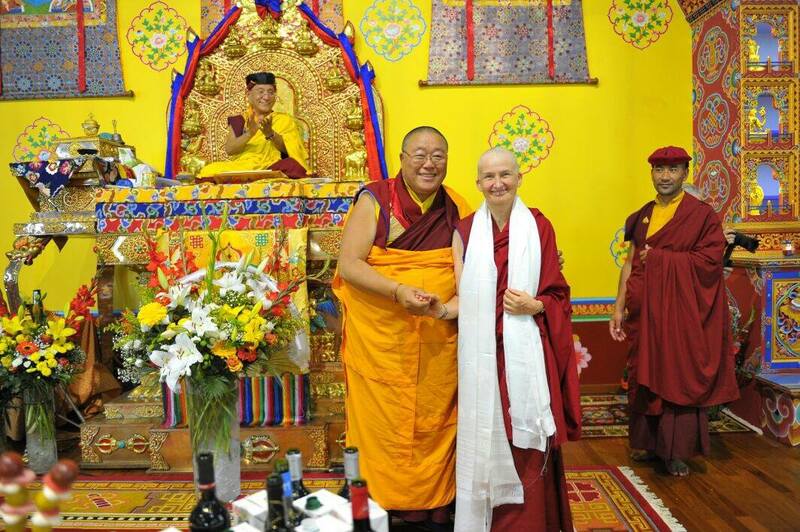 She has done one hundred million recitations of the Amitabha mantra, complete with generation and completion process. From the age of thirteen years she renounced the world, did the preliminary practices and mind training, clearing the doubts through listening and contemplating the meaning. Having done meditation and applied it properly to the mental continuum, she experienced external and inner signs and heats as described in the texts, and also had visions of practice deities. She also has a pure vision of all the traditions and Gurus. Much later, she secretly told me that when I was in her womb she dreamt of young girls dancing and showing their thumbs which had the syllable Hri in a red colour and congratulated her, saying “you will have a son”. She also said that she sometimes heard the sound of recitation of the Amitabha mantra in her womb. 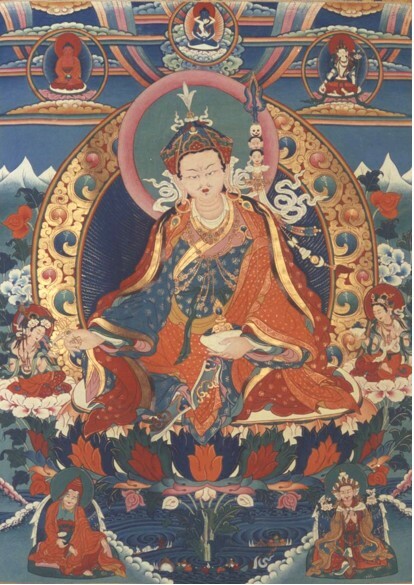 Many Dharma friends, Khenpos and writers had asked her about dreams or auspicious signs she had had, saying they would use the information to write my biography, but she never told them anything. “No one will believe it anyway. So there’s no point in telling them. It will only add to gossip. Telling the truth or lying will serve no purpose”, she said. In fact they were so worried that I would be recognized as a reincarnate Guru they never stayed long in one place. So apprehensive were they of my being recognized as a reincarnation, that they dressed me in grey or dark coloured clothes and never allowed me to wear any red or yellow clothes. But funnily enough, I was fond of red and yellow clothes then. I say “funnily” because today, red and yellow are part of the dress code and I have to wear them. Otherwise I am not that fond of the colours red and yellow. When Bairo Rinpoche went out, I would bully the other family members and wrap myself in Rinpoche’s Zen or wrapper. There were many things in the table drawer and I would take them out and shake them the whole day. As soon as I heard that Bairo Rinpoche was back, I would take off the Zen, quickly put everything back and pretend that I had done nothing. This was because of my deep love for Rinpoche and not out of fear. Forget about thrashing, he would never even scold me or show irritation. One day I had a great wish to wear red shoes and I threw away my new black shoes. I said that the pair of black shoes was lost and a new pair of shoes should be bought. They knew I had thrown away the shoes and my wish was not fulfilled. 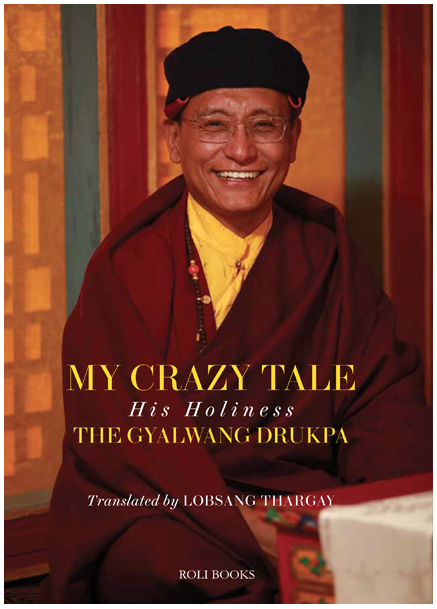 I have many such anecdotes to tell.“ ~ Excerpt from „My Crazy Tale“ by the Gyalwang Drukpa. 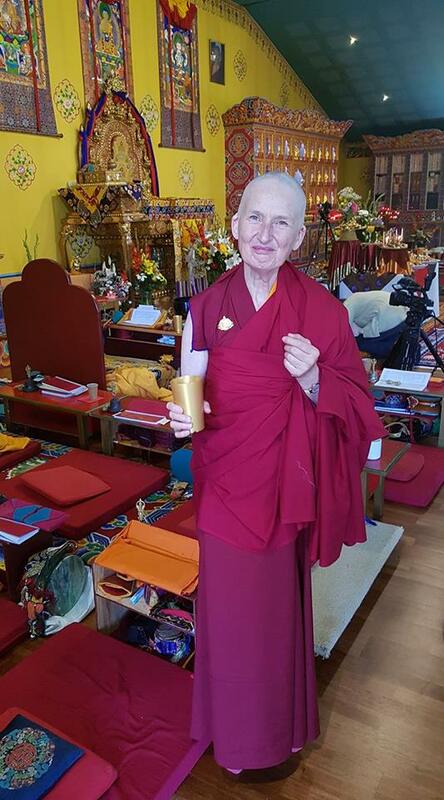 My beloved mom, who lives her entire life following the Dharma, was the first who taught me about kindness, love and compassion. She has been holding my hands, nourishing my mind with positive thoughts and watching me with so much care so that I would never fall off track. Today, she continues to hold my hands to walk the right path, with positive motivation to benefit all beings. She constantly reminds that there is no perfect enlightenment if enlightenment is only for oneself. I love my mother not only because she is my mother and she loves me unconditionally but also because she sets herself as a good example for her child, i.e. me, to follow. 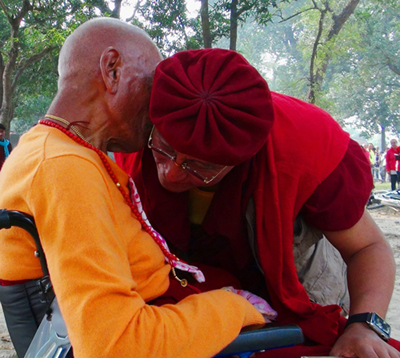 My father, Zhichen Bairo Rinpoche, has been giving me full support and encouragement for my entire life, for anything I wish to do, but with only one condition, that it must be motivated by the altruistic wish to benefit others. He never fails to remind me that genuine happiness for oneself must depend on others‘ well-being. I was born at the holy Lotus Lake (Tso Pema) in Mandi, North India, just at the time when my father was performing the Vajra dance as „Guru Tsokye Dorje“ or „Guru Lake-Born Vajra“. 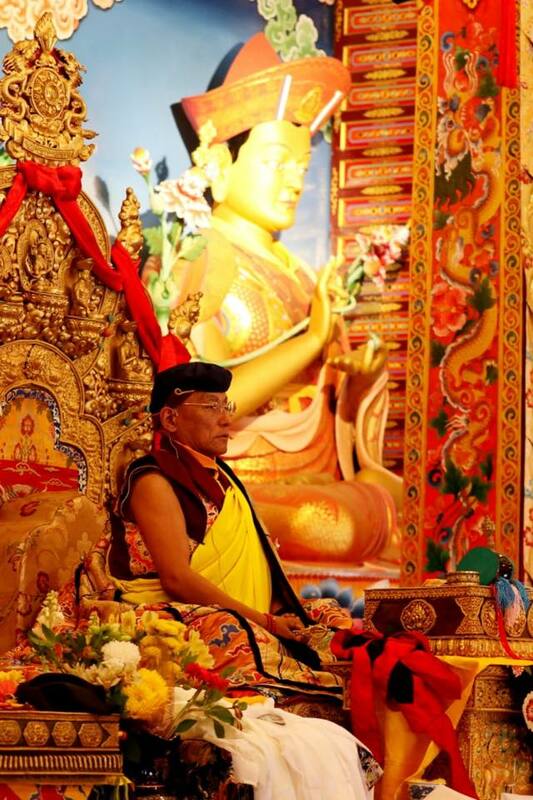 He had requested His Holiness the late Dudjom Rinpoche to allow him to do this part of the ritual. 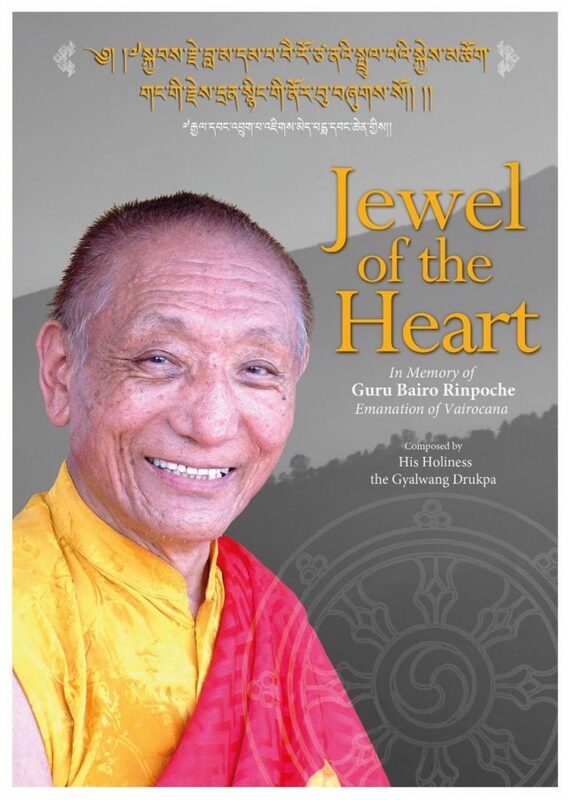 Later on as I grew up, he would often playfully tell me, “While I was dancing as Guru Tsokye Dorje you were born in a corner of the lake.” That is why I sometimes use the name „Lake-Born Vajra“.